She’ll know you truly care with a gift from the heart. 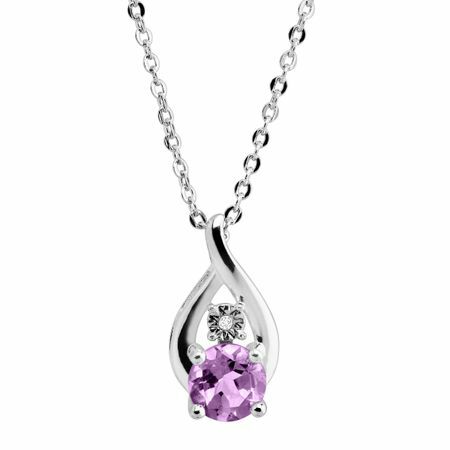 Amaze her with this 5/8 ct amethyst pendant that’ll take her breath away with its sleek droplet stage of sterling silver and single gleaming diamond accent. Pendant piece measures 5/8 by 5/16 inches. Comes with an 18-inch sterling silver cable chain and a spring ring clasp.